Wellsprings Post Acute Center strives to provide compassionate and personalized skilled nursing care 24 hours a day. Our focus is providing on-site rehabilitation services to help our patients regain their independence and return to their homes or lowest level of care. Wellsprings has been proudly serving the Antelope Valley community for 20 years. 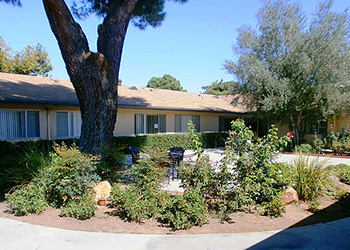 We are located near Antelope Valley Hospital and Palmdale Regional Medical Center. We strive to accommodate each patient in a safe, clean, and comfortable setting. A primary focus at Wellsprings Post Acute is rapid recovery and rehabilitation. A team of qualified professionals helps patients recover from surgery, injury, or serious illness. They understand the importance of creating a comfortable and nurturing atmosphere, whether it is for short-term treatment or long-term care. Telephones are provided on the short-term care unit and are available upon request on the long-term care unit. The rehab department provides physical, occupational and speech therapies. Private and semi-private rooms (subject to availability). Accepting admissions 24 hours per day, 7 days per week. RNs are on duty 24 hours per day.